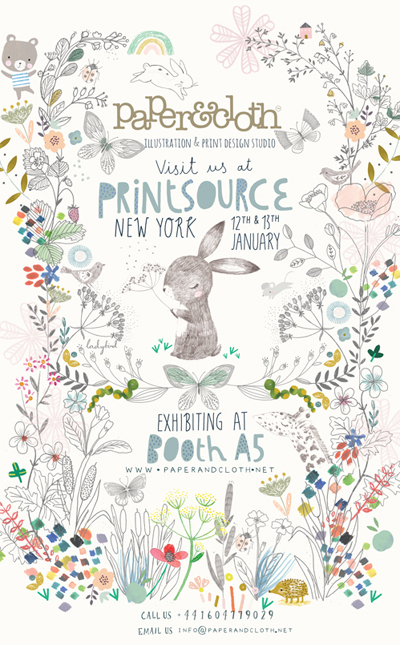 Printsource, one of the first trade shows of the year opens in New York today and Print & Pattern has received some beautiful flyers from some of those attending. The first is from Tara Lily whose flyer is filled with cute characters from what would surely be an amazing portfolio of new designs. 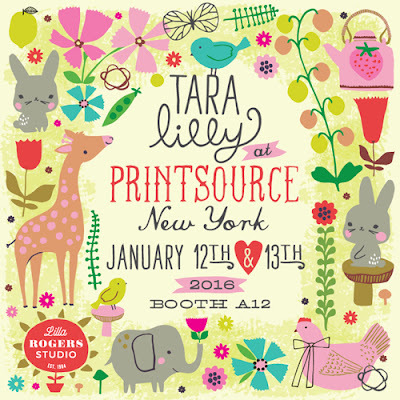 Tara will be exhibiting with Lilla Rogers in Booth A12. 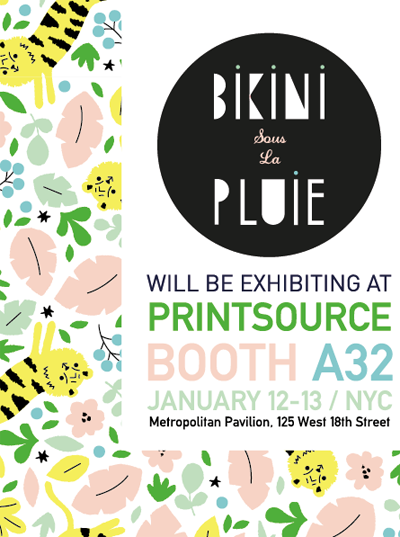 And below is a fresh tiger design on a flyer from Caroline Bourles at French design studio Bikini Sous la Pluie in Booth A32. 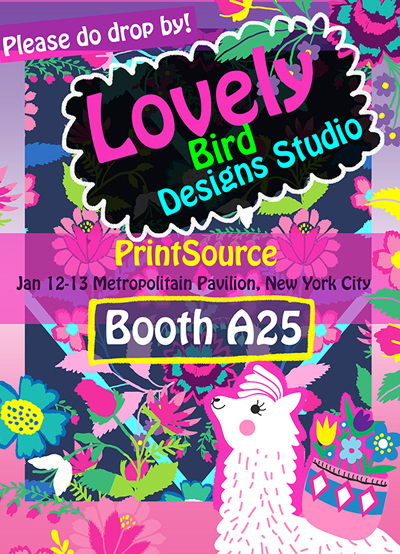 Printsource attendees who often source designs at the show include Abercrombie & Fitch, Anthropologie, Babies R Us, Macy’s, Nine West, Target and Walmart. 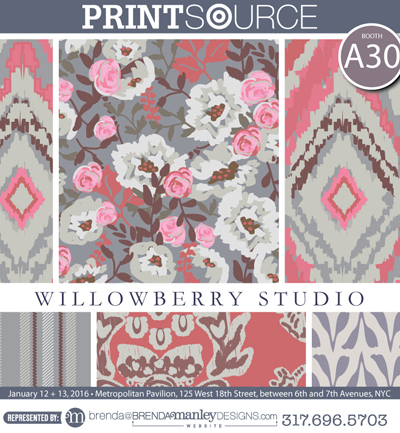 One of the must see studios will surely be Paper & cloth in Booth A5 who will be showing fab new Spring Summer designs. 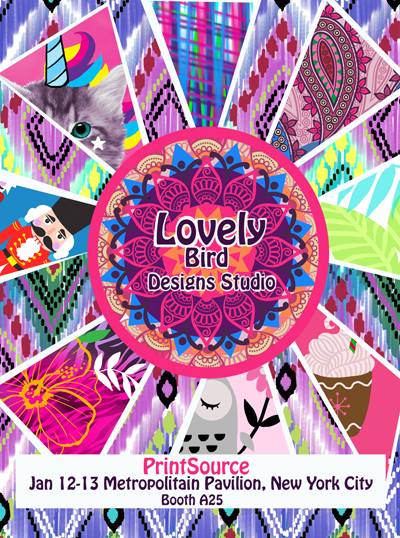 And below find new works from Lovely Bird Designs (below) in booth A25.